It is unwise to base our righteousness on what the bible says. Jesus charges us: “Go and learn what this means: ‘I desire mercy, and not sacrifice’” (Matthew 9:13). Is the righteousness of Moses the righteousness of God? Moses commands the Israelites to kill every Midianite woman who has slept with a man, but keep the virgins for themselves (Numbers 31:17-18). Is he displaying here the righteousness of God? How can Moses say this when his wife is a Midianite? What kind of a man gives instructions to annihilate a people who gave him refuge for forty years of his life and who also happen to be his in-laws? What lesson is the bible trying to teach us here? What righteousness is it trying to instill in us? 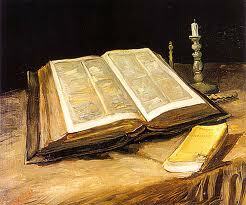 Is the bible a book of righteousness or is it a book of wickedness? Jesus forewarns his disciples: “The time is coming that whoever kills you will think that he offers God service. And these things they will do to you because they have not known the Father nor me” (John 16:2-3). Do you realise this is indirectly a comment on the Old Testament? I thought God was supposed to have made his ways known to Moses? (Psalm 103:7). So how come Moses did not know that genocide is not the way of God? Jesus’ teachings and actions reveal that God gives life. He does not steal, kill and destroy like Moses says (John 10:10). Phinehas was without mercy. He did God service by killing an Israelite man and a Midianite woman engaged in fornication. He did this in spite of God’s great commandment to “love your neighbour as yourself.” Moses tells us God was so pleased with Phinehas for this murder that he blessed him with the covenant of an everlasting priesthood for him and his descendants (Numbers 25:12-13). But would God really bless a man for killing another man? Not according to Jesus. God desires mercy; such as the one Jesus himself showed a woman caught in adultery. Would a man who kills another man be doing God service? Certainly not! James and John wanted to call down fire from heaven like Elijah did to destroy a Samaritan village that would not give them free passage to Jerusalem. But Jesus cautioned them against the destructive spirit of Elijah (Luke 9:54-56). James warns: “Judgment is without mercy to the one who has shown no mercy. Mercy triumphs over judgment” (James 2:13). The so-called covenant blessing God gave Phinehas for this terrible act turned out to have been fictitious. Jewish history shows there was no everlasting priesthood for him. His priesthood ended after only a few generations. Another priesthood was established in Shiloh by Eli that completely by-passed Phinehas’ descendants. Saul thought he was doing God service, but God in Christ met him on Damascus Road and told him he had been misled. You can never serve God by killing or persecuting men. Whoever has seen Jesus has seen the Father (John 14:9). Jesus, the Son of God, did not come to destroy men’s lives but to save them (Luke 9:56). So what we learn from the Damascus Road incident is that it is unwise to base our righteousness on what the bible says. Jesus does not prescribe the scriptures as our yardstick for righteousness. Instead, he calls his bible-wise opponents: “Hypocrites! You know how to interpret the appearance of the earth and the sky. How is it that you don’t know how to interpret this present time? Why don’t you judge for yourselves what is right?” (Luke 12:56-57). Jesus warns that if the blind lead the blind, both would fall into the ditch (Matthew 15:14). Therefore, every false doctrine that has been planted in us from whatever source must be uprooted (Matthew 15:13). For those of us today who call him Lord, our righteousness must be based exclusively on Jesus’ words and on his doctrine.